If you are looking for something even bigger and more impressive than a single Saddlespan, the S5000 Duo Span is the structure to go for. It can be installed on any surface and used open ended, one end closed or fully enclosed, just like the single Saddlespans. 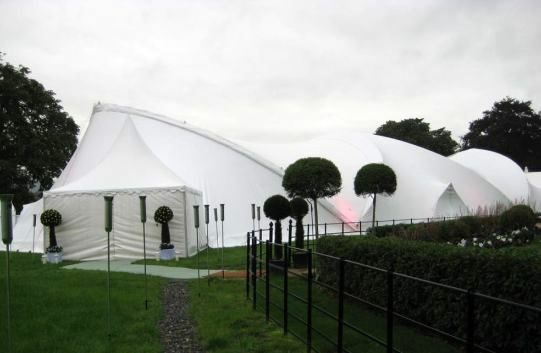 A modern funky alternative to the traditional A frame marquee, the stage and audience are covered with the Duo Span. 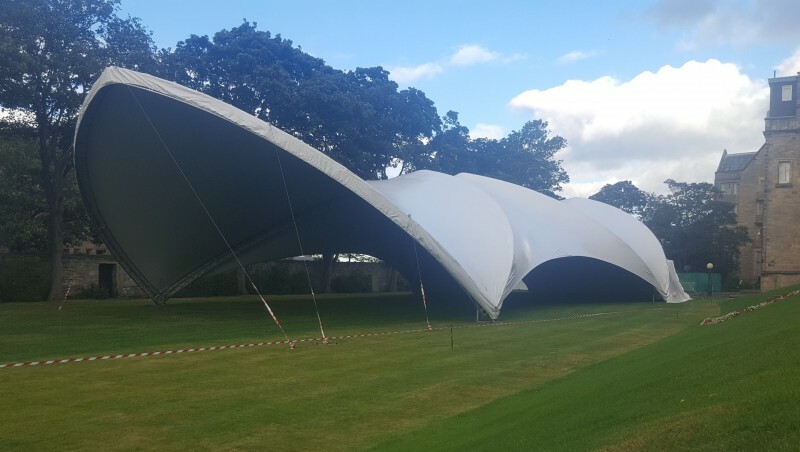 Huge, clear span enclosed structure for impressive events. Create an upbeat atmosphere using this architecturally designed structure. Beautiful arched curves and amazing acoustics create a buzzing atmosphere. Space for a stage, bar area, stalls, whatever the event needs. Lighting effects are easy to achieve with the Saddlespans. 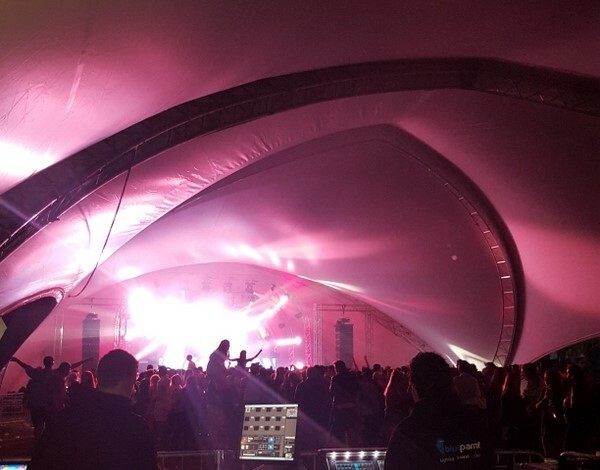 Lights and PA can be attached directly on to the trussing of the tents using approved fixings.They can be installed at ground level before the structure is lifted. Weight loadings: Up to 220kgs per arch.